On the front it has a round neckline and below, a short V-cut, accentuating the silhouette. 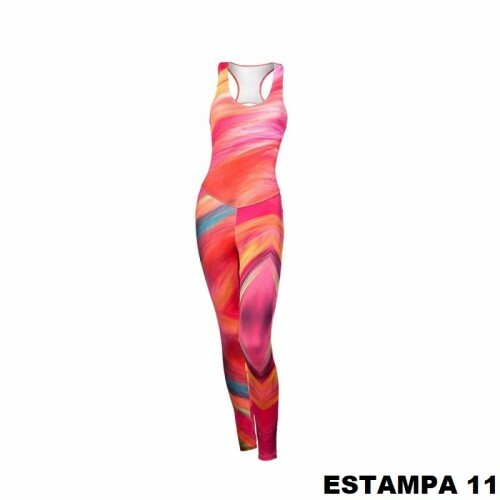 On the back the swimming style is an elegant detail, at the same time that gives extreme elegance to the gluteus. 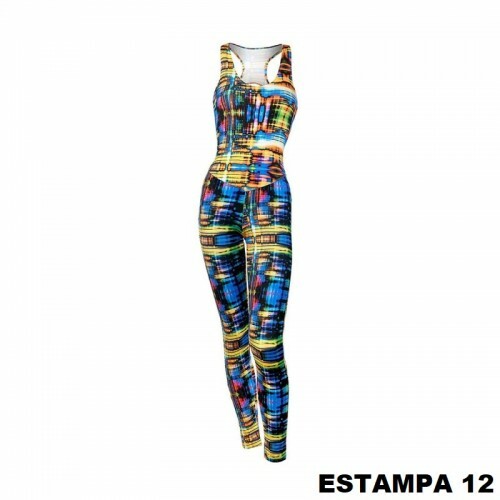 Perequê jumpsuit is made with unique and exclusive prints. There may be differentiation in the prints due to the positioning of the fabric at the time of cutting. On the front it has a round neckline and below, a short V-cut, accentuating the silhouette. 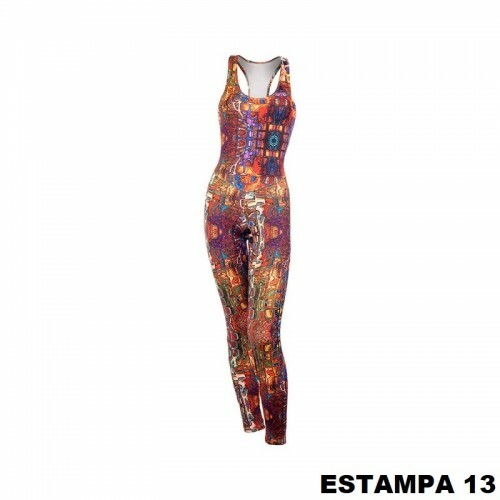 On the back the swimming style is an elegant detail, at the same time that gives extreme elegance to the gluteus. Its fabric is composed of polyamide / elastane and together, they provide extreme comfort, elasticity and freedom of movement during workouts. Its adherence to the body gives perfect support and compression in the right degree. Check out Sancho belt and the hair ribbons to match this jumpsuit!